If you're one of those who takes pride in your health, then having the appropriate apps to keep up with your routines is paramount. 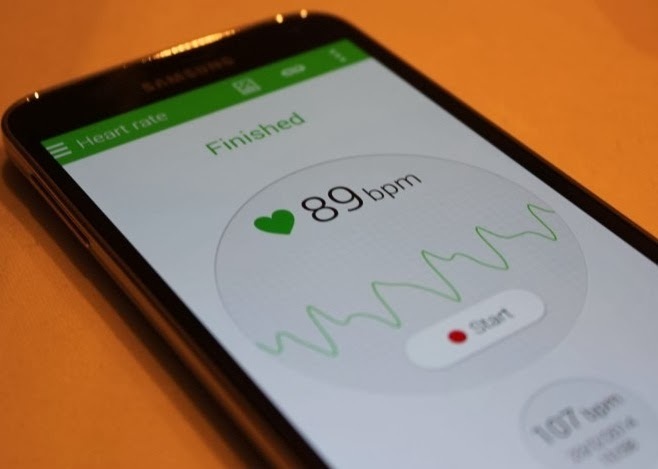 Smartphone providers have for some time been interested in the health industry as it relates to mobile development, evident in the recent unveiling of Samsung's new smartphone, the Samsung Galaxy S5. The built-in heart rate monitor works directly with the pre-loaded 'S Health Partner' to track your fitness information. Below you will find the Top Five Best Free Health and Fitness Android Apps Review for Smartphones and Tablets. According to what's written on Verizon Wireless about the upcoming Samsung Galaxy S5 phone, you can use the 'S Health Partner' to "track your steps, challenge friends, earn badges and get on-demand healthy eating advice." As a celebration of the push for health in our mobile times, check out these five health/fitness apps to prepare for any health-related question or activity, even eating! Who said working out can't be a game? With Fitocracy, an award-winning app developed by Fitocracy, Inc., users are encouraged to compete with their best workouts and to broadcast their activity to the app's community to gain or give props, make friends, and all around encourage physical exercise. Epocrates is a one stop shop for all things prescription-related. The Android app, developed by the company of the same name, helps users find providers of specific drugs and defines how specific drugs interact when taken simultaneously. One impressive part of the latter feature is that one may put up to 10 drugs together and find the combined interaction between them. AllergyEatsMobile is an app developed by AllergyEats that lets you browse restaurants rated by allergy-friendliness. It's an amazing concept that allows users to review restaurants across the country strictly related to the willingness of the restaurant to accommodate food allergies. SleepBot is a nifty night-time Sleep Cycle Alarm developed by SleepBot to help you get the night's sleep that you deserve along with the opportunity to wake up during the lightest sleep cycle to be the most alert that you possibly can. The app allows you to record your movements during the night as well as the sounds that you make. Sounds a little creepy, but it's all in the name of good!